Happy hump day, crafters! Or should I say, happy New Stitch Wednesday! 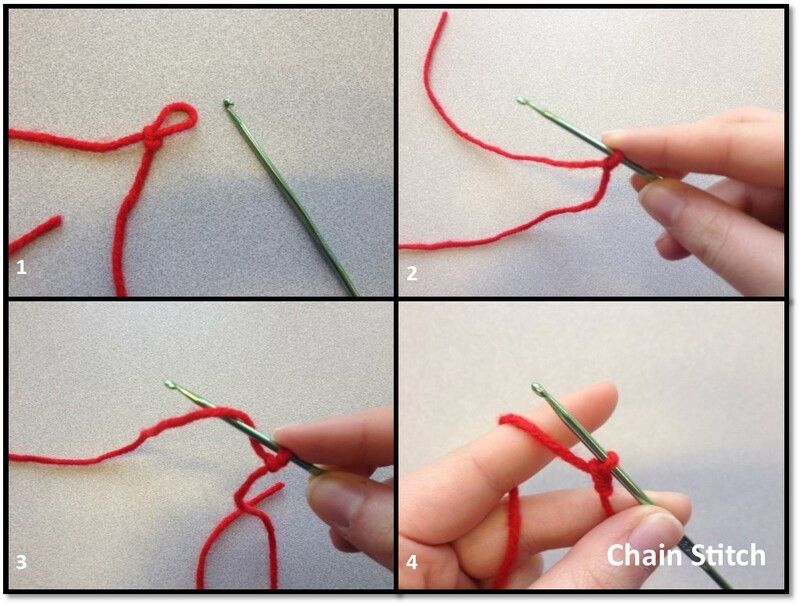 The chain stitch (ch) is the foundation of almost every single crochet project. You must know this stitch. Luckily, it’s also probably the easiest stitch of all! 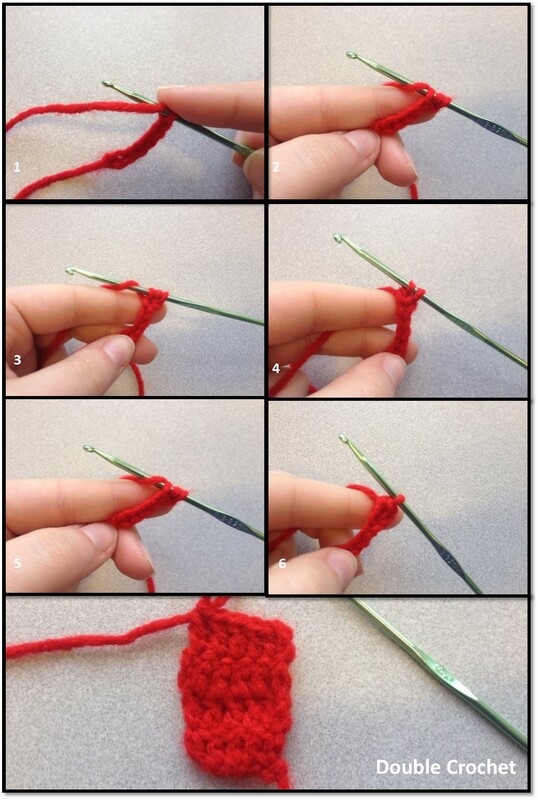 Make a slip knot with your yarn. With your hook inside the slip knot, wrap your yarn around your hook from back to front. Pull up this loop on the hook through the slip knot. I told you it was easy! 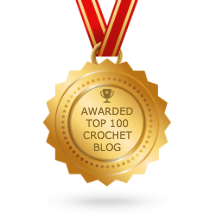 Many crochet projects are worked in what is often called a Foundation Chain, which is really just a series of chain stitches worked in a row. The single crochet is a very common stitch, especially when making amigurumi figures where you don’t want any gaps in the yarn to reveal the polyester filling inside. It’s one of the smallest stitches (the smallest being the slip stitch) and one of the easiest! Yarn over again. Pull this loop through the two loops already on your hook. If you want to continue working in the single crochet stitch across your next row, you will need to make 1 chain stitch at the end of the current row for your turning chain. Then you will turn your work and sc across! 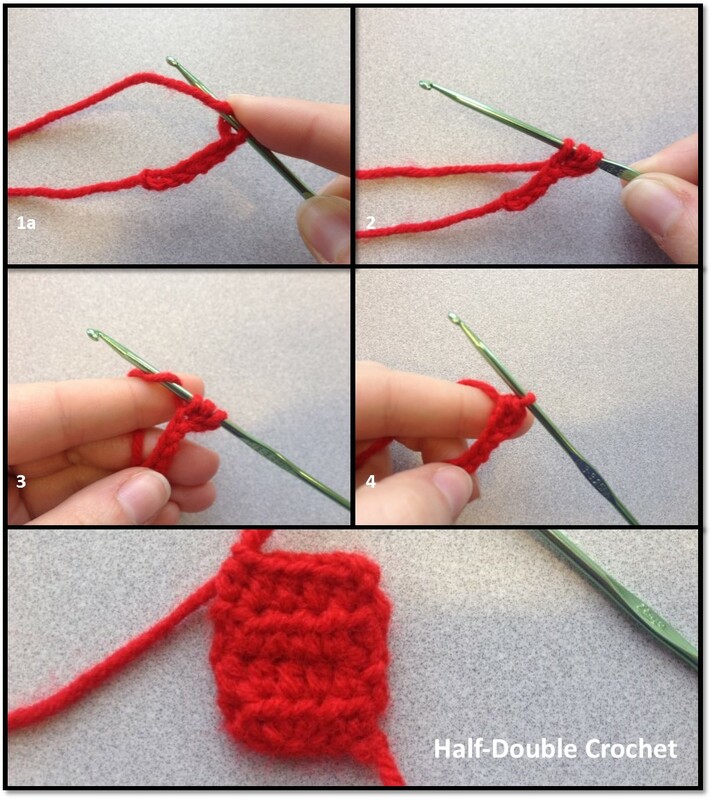 I love the half double crochet stitch (hdc)! It’s my favorite for hats because it makes working up the hat faster than it would if you worked it in the single crochet stitch, but it doesn’t leave gaps as large as when you work the hat in the double crochet stitch. Yarn over, THEN insert your hook into the second chain space from hook (Note: this excludes the two chain stitches of your turning chain). Pull this loop through all three loops already on your hook. If you want to continue working in the half-double crochet stitch across your next row, you will need to make 2 chain stitches at the end of the current row for your turning chain. Then you will turn your work and hdc across! The double crochet stitch (dc) is frequently used in many different patterns, ranging from scarves to hats to blankets and more. 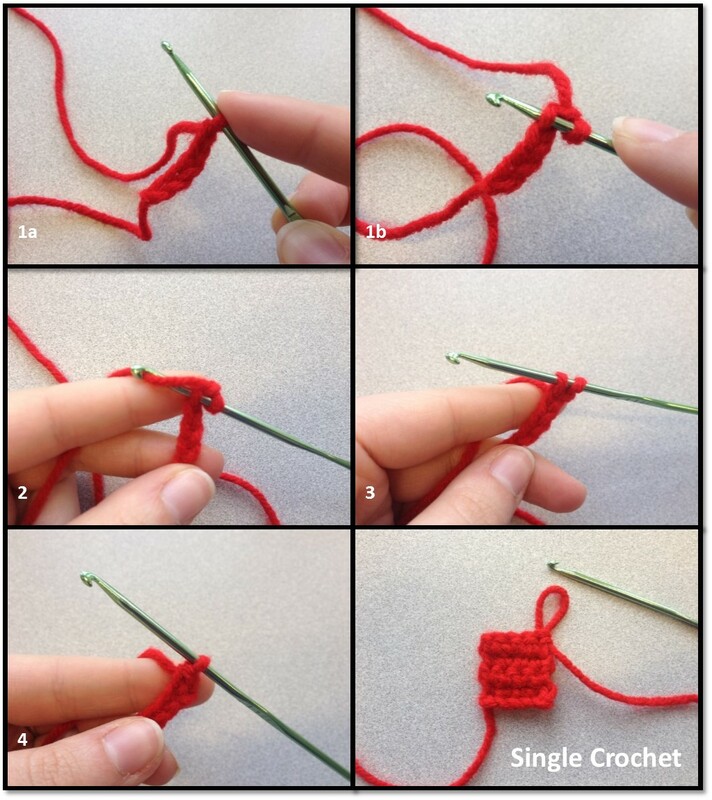 It’s similar to the half-double crochet stitch, but with a couple of additional steps. Pull this loop through the remaining three loops on your hook. If you want to continue working in the double crochet stitch across your next row, you will need to make 2 chain stitches at the end of the current row for your turning chain. Then you will turn your work and dc across! There you have it! Four super basic stitches, with which you can crochet just about anything! In the picture below, I have worked three different swatches, one in single crochet stitches, one in half-double crochet stitches, and one in double crochet stitches. Each swatch contains a foundation chain (5 ch sts for the sc swatch, 6 ch sts for both the hdc and dc swatches) and 4 identical rows of whichever stitch they were modeling. 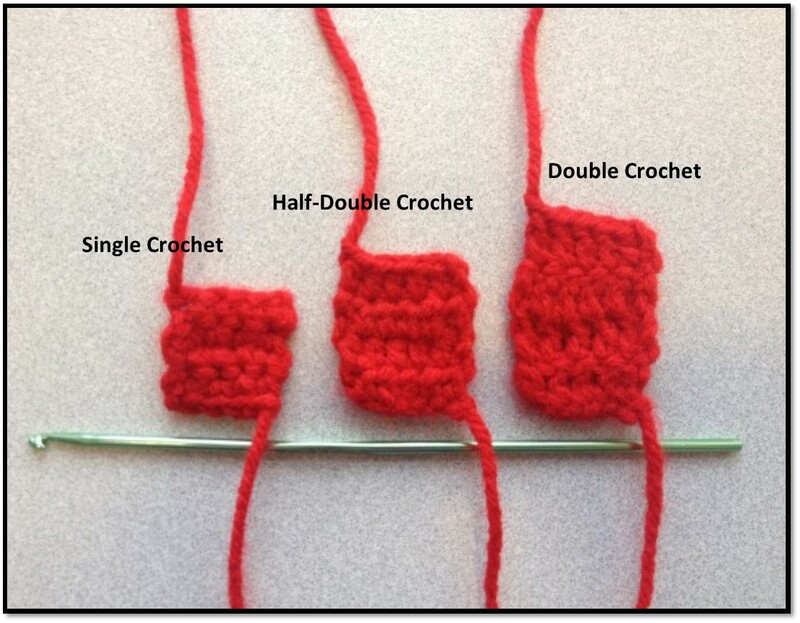 You can see that the swatch worked in the single crochet stitch is shortest, the swatch worked in the double crochet stitch is the tallest, and the swatch worked in the half-double crochet stitch is of medium height. 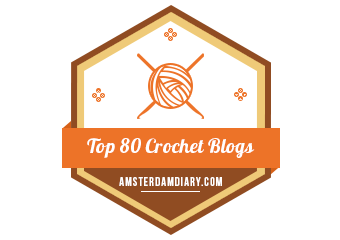 Now that you know how to do these basic stitches, there are SO MANY things you can crochet! What will YOU make?